See 74HC4051 multiplexer / demultiplexer. That describes how you can use a multiplexer chip to multiplex analog inputs. The 74HC4051 multiplexes 8 inputs into one, and the 74HC4067 multiplexes 16 inputs into one. 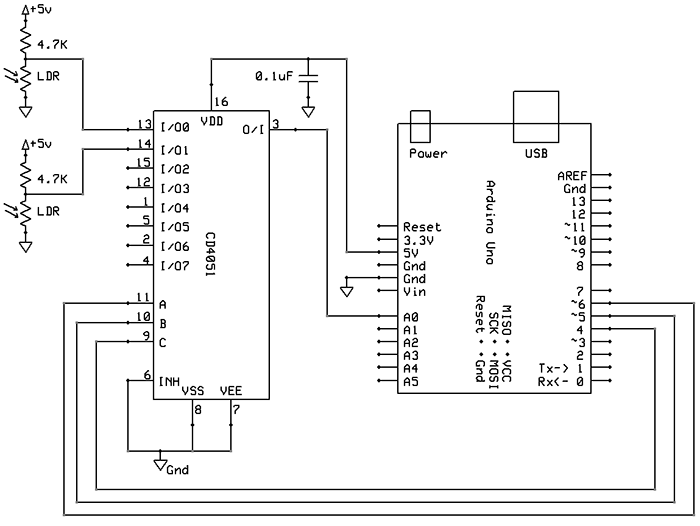 Thus you would only use one analog input, plus 3 or 4 pins to tell the chip which input you want at a particular moment. By outputting a binary pattern to the A/B/C pins you select which input you want active at a particular moment. That is then copied to the output pin (pin 3 in this case). You would connect that to your analog port on the Arduino. 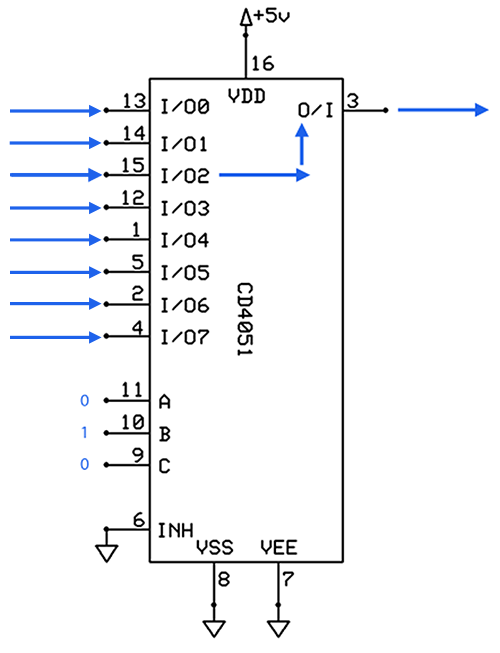 The code would rotate between each of the 8 pins (or 16 pins with the bigger chip), and then do an analogRead. That only does 8 ports, but the 16-port chip would be conceptually similar. Not the answer you're looking for? Browse other questions tagged arduino-mega xbee wireless or ask your own question. How to sync multiple arduinos?